we just got home from sunny california last night. we had a great time eating loads of vietnamese food [pretty much the highlight of any trip to cali for me], played at newport beach, ate at in-n-out burger, [which by the way is not opened yet in st. george, utah.. we found that out after trying to find it forever only to find it not open yet] and hit san diego’s wild animal park, with a quick stop at the new h&m in las vegas at the cool new shopping area townsquare. i was excited to check out the baby stuff for z man. and i finally was able to find him a newsboy cap that fits. well, we did have to get size 3-6 years for the guy, but it’s so cute on him. so… needless to say, i’m pooped. and i’ve got a few photo shoots to edit, another shoot this week, orders to get done from while i was gone, and i desperately need to get some more things made for the beehive bazaar. so, what i’m trying to say is blogging may be on the back burner for the next little bit. but, be sure to check out the links on my site on the left of some lovely blogs that update often. and, don’t forget to check out my old posts, as they have some fun things like how to make your own cake stand, and some awesome recipes and tutorials. 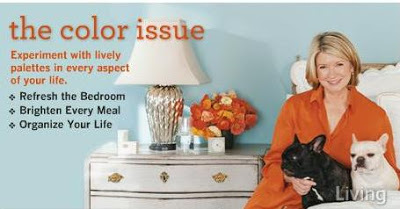 oh, and i’m excited to check out martha’s issue this month, just came in my overstuffed mail box while i was gone. LOVE the color pallette on the front cover. Glad you’re back. Get some rest. Good luck with everything…sounds like fun. I didnt do the beehive bazaar thing, all that paper work!!! It would have been fun though! Good luck, I can’t wait to see what you have been working on for the beehive bazaar. I know that I have my eye on a couple of things, hoping you are up for a trade!